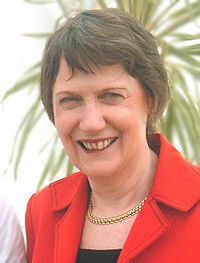 Helen Elizabeth Clark (born February 26, 1950) was the 37th Prime Minister of New Zealand serving three terms between 1999 and 2008. She was New Zealand's second female Prime Minister but the first to lead her party to an electoral victory. Her predecessor, Jenny Shipley, replaced Prime Minister Jim Bolger mid-term in 1997. When she was elected to Parliament in 1981 as a Labour party member, she was the seventeenth woman to sit in the New Zealand Parliament. She joined the Cabinet in 1987. After holding portfolios for conservation, housing, labor and health she was promoted as Deputy Prime Minister in 1989. In opposition from 1990 until 1999, she was deputy opposition leader until 1993 when, elected Party Leader she assumed the post of official leader of the opposition. When her party won the 1999 election, she became Prime Minister and Minister for Arts, Culture and Heritage. In 2007 Forbes magazine ranked her as the 38th most powerful woman in the world. She has set herself the task of making New Zealand the first ecologically sustainable country, describing this as "central to New Zealand's unique national identity." She signed the Kyoto Protocol on December 10, 2002. Loosing the 2008 election, she was appointed foreign affairs spokeswoman. Clark maintained New Zealand's "nuclear free" policy, introduced when she chaired the foreign affairs and defense select committee. She refused to take part in the 2003 invasion of Iraq without an explicit United Nations mandate. A strong supporter of nuclear disarmament, she has pursued a policy of peace-making within the Pacific Ocean region. While New Zealand takes part in UN peace-keeping missions across the globe, she regards the Pacific as New Zealand's natural zone for international involvement. At home, her administration raised the minimum wage, introduced child tax credits and reduced the crime rate. Her interest in social issues could perhaps be seen as an expression of feminine qualities, although there are no few men who have a passion for social justice. What can be said is that her commitment to international peace, ecological sustainability and social welfare demonstrate the desire to improve the quality of life for all people, not just some. She has proved that a woman can run a country as efficiently as a man. Clark grew up as the eldest of four daughters of a Waikato farming family. Her mother, Margaret, of Irish birth, worked as a primary-school teacher. Her father, George, a farmer, supported the National Party at the 1981 election. Clark studied at Te Pahu Primary School, at Epsom Girls' Grammar School in Auckland and at the University of Auckland, where she majored in politics and graduated with an MA (Honors) in 1974. Her thesis research focused on rural political behavior and representation. In her teens, she campaigned against the Vietnam War (New Zealand was an ally of the US during the war), against apartheid in South Africa and against US military bases on New Zealand soil. Helen Clark worked as a junior lecturer in political studies at the University of Auckland from 1973 to 1975, studied abroad on a University Grants Committee post-graduate scholarship in 1976, and then lectured in political studies at Auckland again while undertaking her PhD (which she never completed) from 1977 until her election to Parliament in 1981. She married sociologist Peter Davis, her partner of five years at that time, shortly before that election (under pressure from some members of the New Zealand Labour Party to marry despite her own feelings about marriage—her biography reports that she cried throughout the ceremony, although she attributes that to a headache). On marriage, Clark has said, "I think legal marriage is unnecessary, and I would not have formalized the relationship except for going into Parliament." Dr Davis works as a professor in medical sociology and heads the Sociology Department at the University of Auckland. Clark has worked actively in the New Zealand Labour Party for most of her life. She served as a member of the Party's New Zealand executive from 1978 until September 1988 and again from April 1989. She chaired the University of Auckland Princes Street branch of the Labour Party during her studies, becoming active alongside future Labour Party politicians including Richard Prebble, David Caygill, Margaret Wilson, and Richard Northey. Clark held the positions of president of the Labour Youth Council, executive member of the Party's Auckland Regional Council, secretary of the Labour Women's Council and member of the Policy Council. She represented the New Zealand Labour Party at the congresses of the Socialist International and of the Socialist International Women in 1976, 1978, 1983 and 1986, at an Asia-Pacific Socialist Organization Conference held in Sydney in 1981, and at the Socialist International Party Leaders' Meeting in Sydney in 1991. 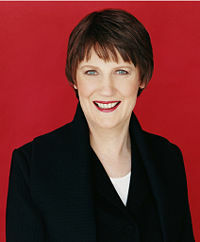 Helen Clark first gained election to the New Zealand House of Representatives in the 1981 general election as one of four women who entered Parliament on that occasion. In winning the Mount Albert electorate in Auckland, she became the second woman elected to represent an Auckland electorate, and the seventeenth woman elected to the New Zealand Parliament. At the 2005 general election Clark won 66 percent of the electorate votes, or 20,918 votes with a 14,749 majority. During her first term in the House (1981 - 1984), she became a member of the Statutes Revision Committee. In her second term (1984 - 1987), she chaired the Select Committee on Foreign Affairs and the Select Committee on Disarmament and Arms Control, both of which combined with the Defense Select Committee in 1985 to form a single committee. She was Chair when New Zealand adopted its "nuclear-free" policy. In 1985 she represented New Zealand at the World Conference to mark the end of the United Nations Decade for Women in Nairobi. In 1987, Clark became a Cabinet Minister in the Fourth Labour Government, led by David Lange (1984-1989), Geoffrey Palmer (1989-1990) and Mike Moore (1990), first as Minister of Housing and as Minister of Conservation, then as Minister of Health and later as Deputy Prime Minister. Clark served as Minister of Conservation from August 1987 until January 1989 and as Minister of Housing from August 1987 until August 1989. She became Minister of Health in January 1989 and Minister of Labour and Deputy Prime Minister in August 1989. As Health minister, she banned advertising for tobacco products, sponsorship of sports by tobacco companies and smoking in the work-place. She chaired the Cabinet Social Equity Committee and became a member of the Cabinet Policy Committee, of the Cabinet Committee on Chief Executives, of the Cabinet Economic Development and Employment Committee, of the Cabinet Expenditure Review Committee, of the Cabinet State Agencies Committee, of the Cabinet Honours Appointments and Travel Committee and of the Cabinet Domestic and External Security Committee. From October 1990 until December 1993 Clark held the posts of Deputy Leader of the Opposition, Opposition spokesperson for Health and Labour and member of the Social Services Select Committee and of the Labour Select Committee. After the National Party won the 1993 general election with a majority of one seat, Clark challenged Mike Moore for the leadership of the parliamentary Labour Party and became Leader of the Opposition on December 1, 1993. She led the Opposition during the National-led Governments of Jim Bolger (1990-1997) and Jenny Shipley (1997-1999) New Zealand's first woman Prime Minister, who replaced Bolger mid-term when she successfully challenged him for the party leadership. When the New Zealand Labour Party came into office as part of a coalition following the 1999 election, Clark became the second female Prime Minister of New Zealand and the first to have won office at an election. During her term in office women have held a number of prominent offices in New Zealand, such as the Queen, Governor-General, Speaker of the House of Representatives and Chief Justice. Clark has held the positions of Prime Minister and of Minister for Arts, Culture and Heritage from 1999. She also has ministerial responsibility for the New Zealand Security Intelligence Service and for Ministerial Services. Her particular areas of interest include social policy and international affairs. As Leader of the Labour Party, Clark negotiated the formation of successive minority coalition governments. The first such coalition (1999-2002) linked the Labour Party with the Alliance Party (1999). The coalition with the Alliance Party collapsed in 2002. In consequence, Clark called an early election and then went into coalition with Jim Anderton's Progressive Party|, a spin-off of the Alliance Party (2002, with parliamentary supply and confidence coming from United Future and a "good-faith" agreement with the Green Party). In 2005, following the election of that year, the Labour Party and the Progressive Party renewed their coalition, gaining supply-and-confidence support from both New Zealand First and United Future in exchange for giving the leaders of those parties ministerial positions outside Cabinet. Clark, like some other MPs and many New Zealanders (including some Labour Party members), supports New Zealand becoming a republic. Some critics of Clark's government have derided her support for a republic, arguing that the Prime Minister has no mandate for such a change. However, the former Prime Minister Jim Bolger also publicly indicated his support for a republic in 1994, during his tenure as Prime Minister. Clark's term in office has seen a number of alleged moves towards a republic, under her government's policy of building national identity. Examples include the abolition of appeals to the United Kingdom's Privy Council and the setting up of the Supreme Court of New Zealand, the abolition of titular Knighthood and Damehood honors, and the abolition of the title "Queen's Counsel" (replaced by "Senior Counsel"). On July 24, 2008 Clark passed Sir Robert Muldoon to become New Zealand's sixth-longest-serving Prime Minister. Clark's government has brought in significant changes to the New Zealand welfare system, such as introducing child tax credits in the Working for Families package. Her government has also changed industrial-relations law and raised the minimum wage six times in as many years. Changes have also occurred in tertiary-education financing, with the abolition of interest on student-loans—firstly for those currently studying, then extended to all borrowers living in New Zealand. Other changes introduced during Clark's term in office include legal provision for civil unions, the introduction of 14 weeks' paid parental leave, and the Property (Relationships) Act, which treats property division after the breakup of de facto relationships the same as after the breakup of legal marriages. Some of these measures, though initiated by other members of parliament or political parties, nevertheless gained the government support. Some commentators have praised Helen Clark (along with the Minister of Finance Michael Cullen) for overseeing a period of sustained and stable economic growth, with an increase in employment that has seen a gradual lowering of the unemployment rate to 3.6 percent. Although her critics acknowledge these factors, many such critics maintain that the growth has come about as the result of wider economic factors, and that increases in the sickness benefit have caused (at least in part) the decrease in unemployment. On the other hand, total beneficiary numbers (a measurement that includes both unemployment- and sickness- beneficiaries) have shrunk during Helen Clark's time in office. Other economic concerns for Clark's government include a persistently high current-account deficit and an unofficial poverty-rate of about 20 percent. Even though some commentators stable government within the relatively new "mixed member proportional electoral system" as unlikely, Clark's supporters credit her with maintaining two terms of stable MMP government, as well as with forming the current government given the relatively close 2005 election-result. New Zealand Police statistics report a drop in the rate of recorded offenses by population over the period of Clark's premiership, which continued the trend shown in years prior to her becoming Prime Minister. This corresponds with a survey of victims of crime, which reported very little change in the number of victims of crime between 1995 and 2000, despite a slight increase in population. New Zealand crime-figures for 2005/2006 showed an increase in a recorded crime over the previous financial year, but rates remained lower than in 1999. 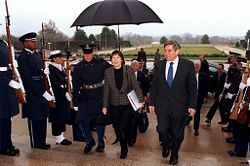 Clark with Paul Wolfowitz at the Pentagon. New Zealand has, during Clark's terms of office, pursued what she and her supporters call an independent foreign policy. New Zealand retains a nuclear-free zone status, a stance also taken by the opposition National Party, (possibly at the cost of a free-trade agreement with the United States of America), and refused to participate in the Iraq invasion without United Nations UN sanction]]. In March 2003, referring to the U.S. led coalition's actions in the Iraq War, Clark told the newspaper Sunday Star Times that, "I don't think that September 11 under a Gore presidency would have had this consequence for Iraq." She later sent a letter to Washington apologizing for any offense that her comment may have caused. In a report in the People's Daily, Chinese President Jiang Zemin referred to Clark as an "old friend." He hoped to "establish bilateral long-term and stable overall cooperative relations with a healthy development geared to the 21st century," and "broad prospects for bilateral economic cooperation." Clark had strongly supported China's entry into the WTO. Under Clark, New Zealand continued to play a role in peace-keeping, both through participation in UN missions and within the Pacific region, mediating in such places as Fiji, Tonga and the Solomon Islands. New Zealand is involved in "UN Truce Supervision Organization, in the UN Mine Action Service in Lebanon, and in the Multinational Force (MFO) in the Sinai" as well as in Afghanistan. She has also involved herself in the Middle East peace process. She has been outspoken in calling for world disarmament. New Zealand ranks second the Norway on the Global Peace Index, which rates "levels of peace for over 120 nations across 24 indicators, ranging from a nation’s level of military expenditure to its relations with neighboring countries, and its level of respect for human rights." With Sweden, New Zealand introduced a resolution at the UN in 2007 to "de-alert" nuclear weapons, the first such initiative, which said Clark "first time that this objective will be put forward as a resolution of the General Assembly, and demonstrates again New Zealand’s willingness to stand up and be counted on key disarmament issues." At the founding of the United Nations at the end of the War, New Zealand found its voice as a spokesperson for small nations. We opposed the power of veto being given to permanent members of the Security Council – a position to which we adhere to this day. Indeed the existence of the veto has proved to be one of the barriers to Security Council reform and the creation of more permanent memberships. New Zealand's size and distance from some parts of the world has meant that she "does not have the resources to conduct intense relationships with all the world’s regions," so Clark has concentrated on the region of which New Zealand is a part of. She has also spoken of how New Zealand has a particular contribution to make in the debate about intercivilization and interfaith dialogue "given its own multicultural, multifaith population, and its reputation for peacekeeping in and relationship building with diverse nations." In 2000, Labour MP Chris Carter investigated the background of one of Clark's Cabinet colleagues, Māori Affairs Minister Dover Samuels. During the investigation, Clark referred to John Yelash as "a murderer." However, the court system had convicted Yelash of manslaughter. Yelash sued Clark for defamation, resulting in an out-of-court settlement. Clark signed a painting for a charity-auction that someone else had painted. A political controversy arose about it, and after it emerged that she had not painted it, Opposition politicians referred the matter to the New Zealand Police. The Police found evidence for a prima facie case of forgery, but determined that it was not in the public interest to prosecute. In 2000, the then Police Commissioner, Peter Doone, resigned after the Sunday Star-Times alleged he had prevented the breath testing of his partner Robyn, who had driven the car they occupied, by telling the officer "that won't be necessary." Both Doone and the officer involved denied this happened. Doone sued the Sunday Star-Times for defamation in 2005 but the paper revealed they had checked the story with Clark. She confirmed this, but denied that she had made attempts to get Doone to resign and defended being the source as "by definition I cannot leak." Helen Clark also responded by saying that New Zealand National Party friends had funded Mr. Doone's defamation-suit. Opinion on the significance of this incident varied. In 2005, a motorcade involving police, Diplomatic Protection Squad, and Ministerial Services staff reached speeds of up to 172 km/h when taking Clark and Cabinet Minister Jim Sutton from Waimate to Christchurch International Airport so she could attend a rugby union match in Wellington. The courts subsequently convicted the drivers involved for driving offenses, but appeals resulted in the quashing of these convictions in December 2005 and August 2006. Clark said that she was busy working in the back seat and had no influence or role in the decision to speed and did not realize the speed of her vehicle. Some observers criticized Clark for some of Labour's election-campaign spending during the 2005 election campaign. Investigations found that the Labour Party, like all parties represented in Parliament except for Jim Anderton's Progressive Party, had illegally spent parliamentary funds on its election campaign. Labour had spent $768,000 illegally, and this meant Labour also exceeded the legal limits for campaign-spending, the only party to have done so. Despite disagreeing with the Auditor-General's conclusion, Clark announced Labour would refund the public purse and it did so in 2007. In 2007, Clark's Government introduced the Electoral Finance Act, which placed restrictions on the spending of lobby-groups, who must now register with a government agency if they are spending over a certain amount. So far, the Act has been highly controversial and has attracted severe criticism from organizations such as the New Zealand Herald for its alleged attack on freedom of speech. In February 2008, Clark was New Zealand's longest serving Labour Prime Minister. In the election of 8 November 2008 she lost to John Key of the National Party, which with 58 seats (45 percent) won a plurality of votes. Labour won 43 seats (34 percent). Clark stepped down as party leader. She was appointed foreign affairs spokesperson by the new leader, Phil Goff. Clark was appointed a member of the Privy Council in 1990, the first female New Zealander to be given this honor. Membership carries the title "Right Honourable". The government of the Solomon Islands awarded Clark (together with John Howard of Australia) the Star of the Solomon Islands in 2005 in recognition of New Zealand's role in restoring law and order in the Solomon Islands. This award allows her to use the post-nominal letters "SSI". Helen Clark is an Honorary Member of The International Raoul Wallenberg Foundation. In 1986, the Danish Peace Foundation awarded her its annual peace prize for her championship of international peace and disarmament. Helen Clark regularly visits the gym to keep herself fit. Her hobbies include hiking and cross-country skiing. In January 1999, she climbed Mount Kilimanjaro, Africa's highest peak. Though no longer a churchgoer, she was raised as a Presbyterian and as a youth she went to Sunday school every week. Helen Clark's legacy will include her election as the second woman head of her country's government as the first to lead her party to victory at the polls. Her commitment to promoting the role of women has seen more women assume significant positions over during her period in office, one of the longest in New Zealand's history. Her commitment to developing a sustainable energy and ecological policy is rooted in her conviction that this is not only in her nation's best interest, but integral to national identity. 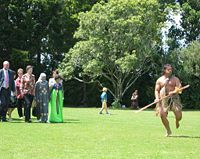 New Zealand's indigenous people, the Maoris have long reverenced the land and the sea as possessing them rather than as possessed by them. Clark's parliamentary majority "depends on two Maori MPs." We pride ourselves on being a nation with a sense of fair play, on being clean and green, and on being nuclear free. We stand for decent values at home and abroad. We take pride in all those who’ve put our nation on the map, like Sir Edmund Hillary whose exploits were celebrated in Antarctica last month, and like Professor Alan McDiarmid, one of three New Zealanders to win the Nobel Prize who passed away last week. Clark's interest in social issues could perhaps be seen as an expression of feminine qualities, although there are no few men who are also passionate about social justice. She has declared herself agnostic. Though unsure about God's existence, she has demonstrated a respect for human dignity through her commitment to international peace, ecological sustainability and social welfare. Her records indicates that she sees the task of government as one of improving the quality of life for all people, not only for some. She has shown that a woman can run a country as efficiently as a man. ↑ 1.0 1.1 The 100 Most Powerful Women: Helen Clark. Forbes, 08/30/2007. Retrieved August 22, 2008. ↑ PM signs Kyoto Protocol ratification document. Website of the Government of New Zealand. Retrieved August 22, 2008. ↑ 3.0 3.1 3.2 Rt. Hon. Helen Clark. Government of New Zealand. Retrieved August 22, 2008. ↑ Brian Edwards. 2001. Helen: Portrait of A Prime Minister. (Auckland, NZ: Exisle Publishing), 144-150. ↑ 5.0 5.1 5.2 Audrey Young, March 16, 2004. Insults get personal between Clark and Brash. New Zealand Herald. Retrieved 25 August, 2008. ↑ Elections NZ 2005: Official Count Results—Mt Albert. Government of New Zealand Election Results. Retrieved August 22, 2008. ↑ Collin James, 2007. Colin James: Clark heading for fifth place but is that her limit? New Zealand Herald. Retrieved August 22, 2008. ↑ Adopted in 1993, citizens cast one vote for their local representative and one for the party they support. This replaced the "first past the post" system." ↑ Crime Statistics for calendar year ending 31 December 2005. New Zealand Police Service. Retrieved August 22, 2008. ↑ Crime Statistics for fiscal year ending 30 June 2006. New Zealand Police Service. Retrieved August 22, 2008. ↑ Mike Houlahan, 2006. Clark claims Iraq invasion has made the world less safe. New Zealand Herald. Retrieved August 22, 2008. ↑ President Jiang Meets New Zealand PM. People's Daily (English). Retrieved August 22, 2008. ↑ 14.0 14.1 14.2 14.3 14.4 14.5 Helen Clark, Speech to the Oxford Union, October 1, 2007. New Zealand Foreign Policy. Nuclear Age Peace Foundation. Retrieved August 22, 2008. ↑ Sarah Miskin, September 17, 2002. Research Note no.9 2002-03. Parliamentary Library, Parliament of Australia. Retrieved August 22, 2008. ↑ Audrey Young, May 11, 2005. PM confirmed story, says editor. New Zealand Herald. Retrieved August 22, 2008. ↑ The PM'S slow leak. New Zealand Herald, May 14, 2005. Retrieved August 22, 2008. ↑ Motorcade police officers' convictions quashed. New Zealand Herald. Retrieved August 22, 2008. ↑ Jarrod Booker, 2005. PM 'enjoyed' convoy ride. New Zealand Herald. Retrieved August 22, 2008. ↑ Editorial: Democracy Under Attack. New Zealand Herald, Nov 12, 2007. Unusually, the editorial was carried in the front page. Retrieved August 22, 2008. ↑ Anthony Main. 2008. Labour lose general election. Socialist World. November 10. Retrieved January 27, 2009. ↑ The Privy Council is the advisory council of the monarch of the United Kingdom, which also has certain judicial functions as a court of appeal. ↑ PM awarded the Star of the Solomon Islands. Website of the NZ Government. Retrieved August 22, 2008. ↑ Medals of the World - Solomon Islands: Star of the Solomon Islands. Medals of the World. Retrieved August 22, 2008. ↑ Prime Minister honored by UN environment award. Website of the Government of New Zealand. Retrieved August 22, 2008. ↑ Honorary Members. The International Raoul Wallenberg Foundation. Retrieved August 22, 2008. ↑ Profile of New Zealand's Prime Minister Helen Clark. News Ops. Retrieved August 22, 2008. ↑ In pictures: Maori Protest March. BBC News May 5, 2004. Retrieved August 22, 2008. ↑ Rt. Hon. Helen Clark, Prime Minister's Statement. Scoop: Independent News February 13, 2007. Retrieved August 22, 2008. Edwards, Brian. 2001. Helen: Portrait of A Prime Minister. Auckland, NZ: Exisle Publishing. ISBN 0908988206. Henderson, John and Seishi Gomibuchi. "The leadership styles of Helen Clark and Don Brash." in Miller, Raymond, Michael Miller and Michael Mintrom. 2006. Political leadership in New Zealand. Auckland, NZ: Auckland University Press. ISBN 1869403584. Kerr, Allan R. 2006. Helen Clark: Prime Minister of New Zealand. Masterton, NZ: Capital Letters Pub. ISBN 1877177571. This page was last modified on 24 May 2013, at 14:37.